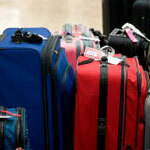 Alien Technology and their Denmark channel partner, Lyngsoe Systems, have been awarded a contract to provide an RFID luggage tracking system at Portugal’s main airport hub in Lisbon. With its Denmark partner, Alien will be providing millions of their IATA approved Higgs-3 based ultra-high frequency Squiggle inlays for Lisbon’s transfer baggage terminal. Each piece of the luggage in the baggage terminal will be affixed with a luggage tag incorporating an Alien inlay. This will completely automate the baggage handling process, therefore reducing the amount of handling errors.